KIEV, Ukraine -- Representatives of Ukraine's intellectual circles have expressed an outrage at a decision of Kiev Court of Appeals to uphold the prison sentence in gas case for former Prime Minister Yulia Tymoshenko and a decision to send her to a penal colony. In particular, prominent Ukrainian writer Lina Kostenko and her daughter, literary critic Oksana Pakhlevska signed a joint statement by intellectuals about the non-recognition of a decision by the Court of Appeals in Kiev. 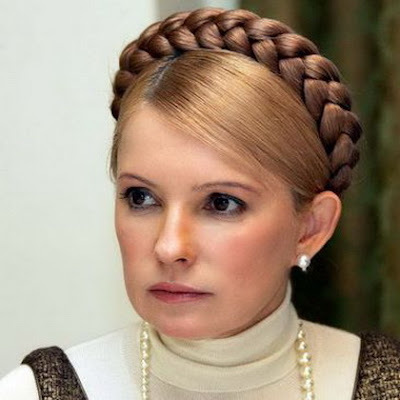 "The authorities took a sadistic decision to transfer Yulia Tymoshenko from Lukyanivka detention center to a penal colony, which is even more defiant taking into account the fact that it was done on New Year's eve." "It looks like they are cynically counting on the fact that people in their pre-holiday worries will forget about a person who knows how to be principled and consistent in saying "no" to the mockery of the state and who has to pay for it today through being sent by Tsarist-Stalinist rule to a penal colony," reads the intellectuals' statement published Friday on the Web site of the Tymoshenko-led Batkivschyna party. Ukraine's intellectuals said they did not recognize "the unjust decision of Kiev Court of Appeals which is controlled by the current president in the case of Yulia Tymoshenko and hoped that it will soon be overturned by the European Court of Human Rights." The statement was signed by 23 representatives of the intellectual circles. Those included social activist, Soviet dissident, Hero of Ukraine Ivan Dziuba, President of the Kiev-Mohyla Academy National University Vyacheslav Briukhovetsky, writers Yuriy Andrukhovych, Roman Ivanichuk, Maria Matios, Yuriy Mushketyk, Dmytro Pavlychko, Vasiyl Shkliar and others.